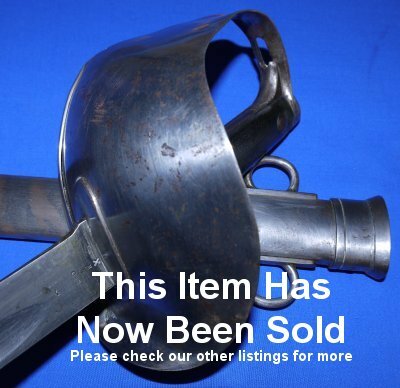 In good condition, an 1899P Boer War 3rd Dragoon Guards Trooper's Sabre / Sword. 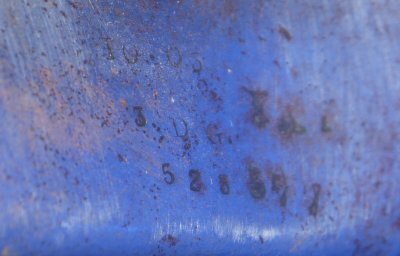 With several marks / stamps, the main ones being "3 DG" on the inside of the guard / hilt, this sword has a '00 (1900) date stamp to the blade so this sword is virtually guaranteed to have been part of the chase to capture or kill the elusive General Christiaan de Wet during the Boer War. 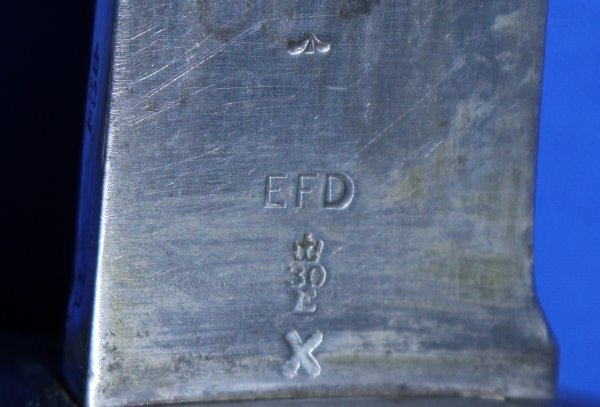 The markings show this sabre ended up with the Royal East Kent Yeomanry and that the scabbard is not original to the sword, though is made by the same maker (Enflield / EFD). 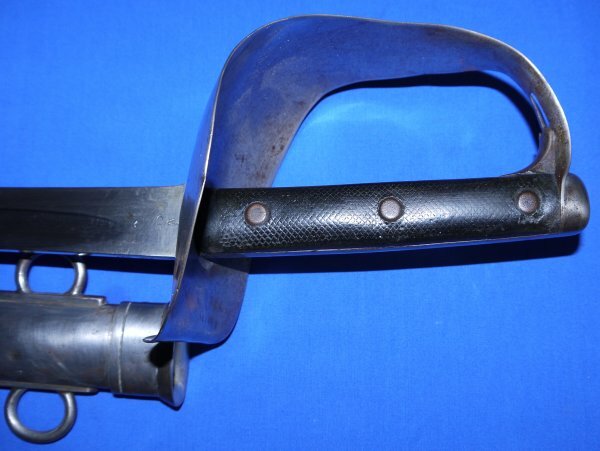 The 33 1/4 inch blade is in very good condition, with many post-war inspection marks, and is firm in the hilt. 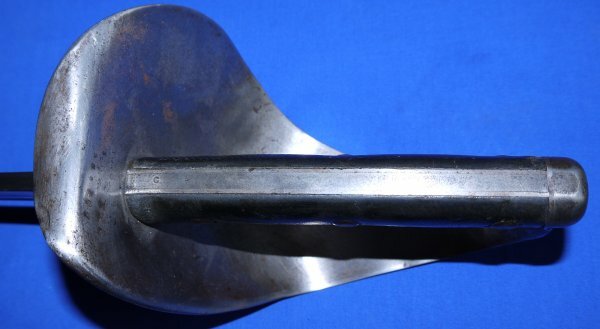 The steel hilt has some deformation (bending damage) but these steel hilts are not exactly thick and this is very common with swords that had harsh / long service lives. The grip scales are good but worn and a little age malformed, but above average. The steel scabbard is good, some aging. The sword sheathes and draws very well. 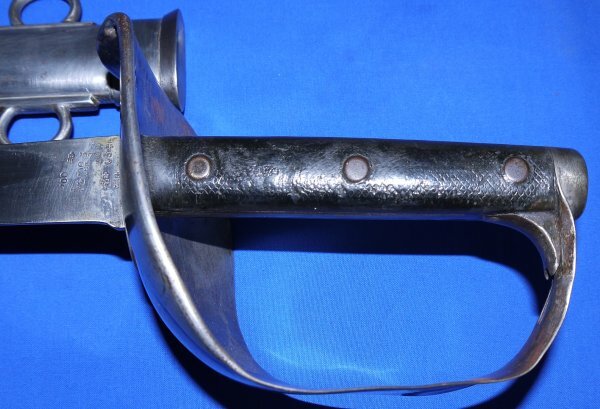 Great Boer War sword. Great value: £600. 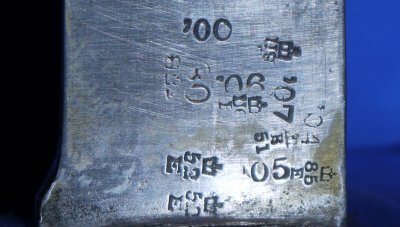 Please quote item reference R05. Further / full sized images available upon request. Box 0441-1.18 (3.160).